GALENA PARK – At its regular meeting this week, City Council considered a number of appointments to fill open positions in the city government.These had occurred due to previous Council action in firing or demoting certain personnel. On the Agenda were appointments of police chief, city attorney, water superintendent, water department billing clerk, and a civil service board person. Each of these items generated discussion, and most were acted on. However, the appointment of Edward Mata as Police Chief generated questions and was finally tabled, because his salary of $68,000 and requirement to live in the city was never discussed with him. The item was referred to committee for further action and later vote. Appointment of a City Attorney went ahead without much discussion. 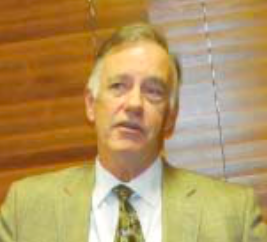 Robert Collins, a local attorney who is a 1970 graduate of Galena Park High School, was appointed. He is also City Attorney in Port Isabel, he said. In accepting the position, he said he has some goals, including applying for more grant money for the city, updating the A/V equipment that the city uses in the Council Chamber, and keeping the city out of the Courtroom. Other appointments that proceeded were Jarrod Jones for Water Superintendent, Irma Betancourt for Water Dept. billing, and Hector Torres to the Civil Service Board. THE NEW GATEWAY MONUMENT is part of the Project Stars of the San Jacinto Historical District. Each of the 10 cities in the area served by EconomicAlliance Houston Port Region received money to build these monuments. Galena Park is number 9 in the series. The first Gateway was erected in La Porte in 2008. Although each design is different, responding to its setting, each has a Blue Star that lights at night. Project Stars is also responsible for the Historical Murals painted on the oil storage tanks along Highway 225 and Independence Parkway in Deer Park. 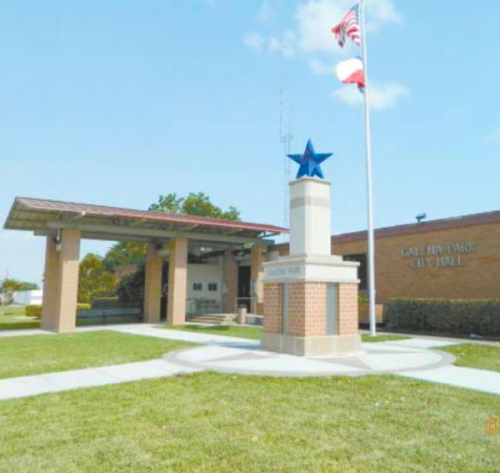 GALENA PARK – The Gateway Monument that they city voted in favor of last year, has now been completed. It stands in the front of City Hall, de-marking a “Gateway” into the Port Region. As such, it was paid for by the EconomicAlliance Houston Port Region, as part of a project known as Project Stars. These gateways are conceived as a regional themed beautification project, designed to highlight the rich historic assets of the 10-city district and to visually de-mark the entrance to each city. In Galena Park, lacking an appropriate entrance site, the monument was constructed in the center, by City Hall. EconomicAlliance paid $100,000 toward the project, and the city contributed matching funds of $25,000 according to information from Robert Pruett, previous City Administrator. Galena Park/Jacinto City Rotary Club installed their new officers and board last Wednesday at the Baggett Center. At RIGHT, new president Joshua Moreno, Rotarian of the Year Ernesto Paredes, and District Governor Eric Liu, who installed the Rotarians. BELOW, the new officers, outgoing officers, and new board members pose for a photo at the luncheon. New President Joshua Moreno is at the center, Rotarian of the Year Ernesto Paredes is at the left end, and District 5890 Governor Eric Liu is at the right.